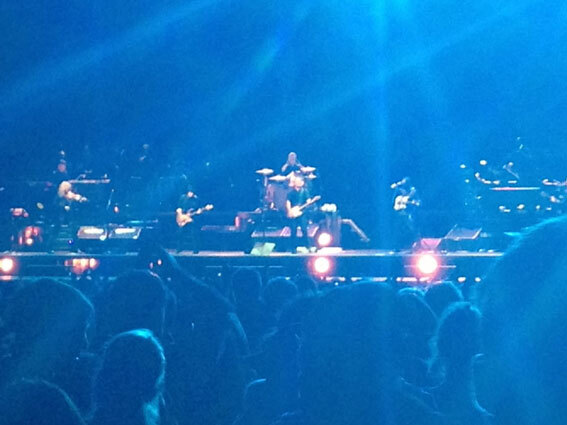 I was in Kyneton over the Easter weekend in 2013 – in that part of the world to see Bruce Springsteen and the E Street Band play at Hanging Rock. 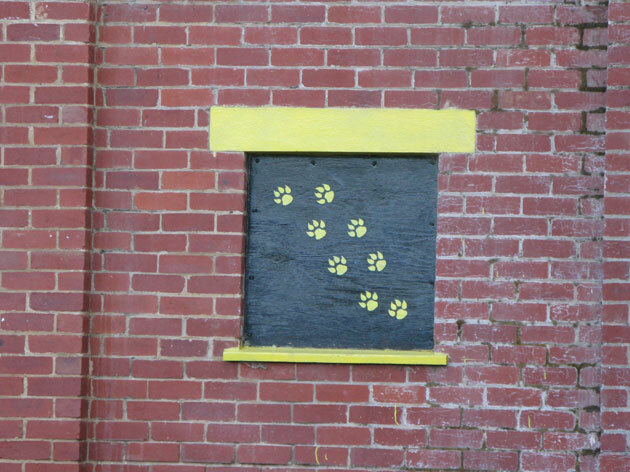 From a footy point of view the timing was amazing – in an article in The Sunday Age on 31 April 2013 Adam McNicol pointed out that there was a darkness on the edge of town. 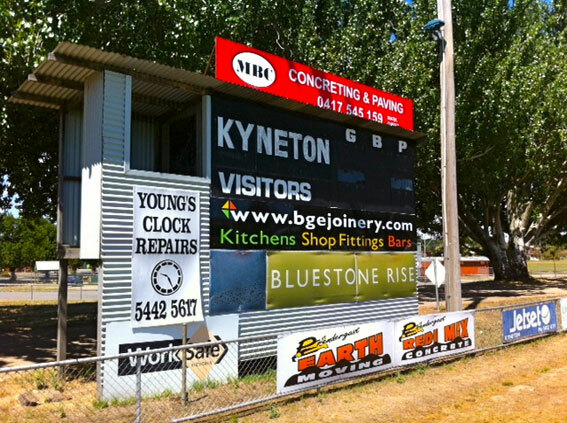 Kyneton had fielded a footy team since 1858 and had been in the Bendigo Football League since 1932 but there would be no senior team in 2013 – the Tigers just couldn’t find the players. This photo was taken by Michael Wearne. 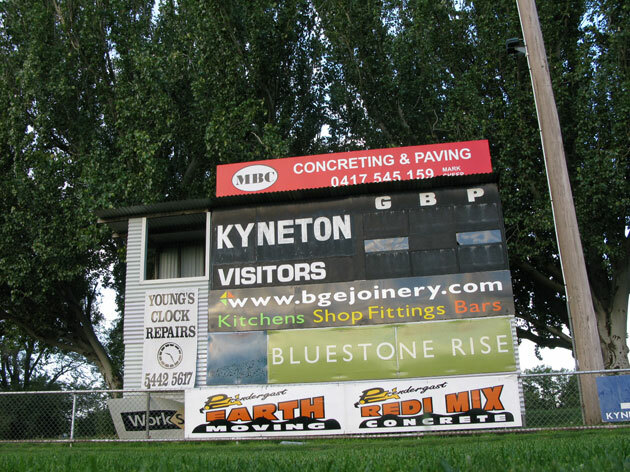 The demise was temporary and Kyneton’s senior team returned to the BFL in 2014. The Tigers won six games and finished seventh (they won twice in 2012). Nathan Thompson’s efforts in keeping the club alive rank him among Kyneton’s favourite sons while triple Carlton premiership player Jim Buckley and VFL greats of the 1920s Horrie Mason (St Kilda) and Leo Westcott (Collingwood) were also Tigers. 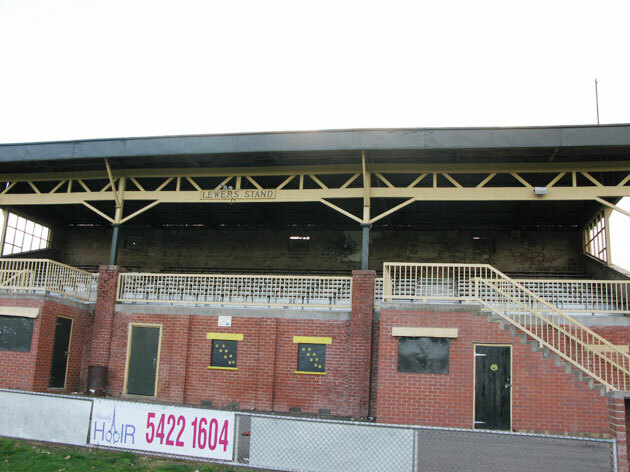 Another of the greats at Kyneton was Tony Kelly – his induction into the BFL Hall of Fame in 2010 was covered by Richard Jones on footyalmanac.com. That’s Bruce in the centre. Music note: The concert (and venue) were magnificent. 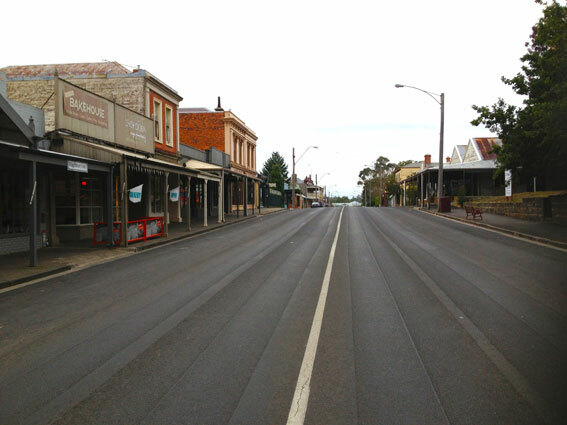 Base note: Kyneton is a wonderful town.